when is a trust carrying on a business of primary production on a substantially full-time basis? 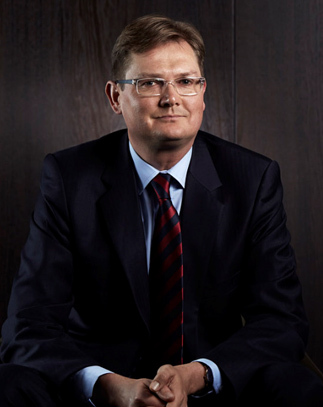 Andrew Rider is a leading Australian tax barrister specialising in land tax, payroll tax and stamp duty litigation and dispute resolution. Andrew also advises on Australia-wide stamp duties, land tax and payroll tax. Prior to coming to the Bar, Andrew was a solicitor and Associate to Justice Michael Kirby. Andrew lectures in taxation law at the University of Sydney Law School and previously lectured at the University of Technology, Sydney. Andrew edits the leading stamp duty publication “Australian Stamp Duties Law” and authors the national stamp duty section of the leading online service “Practical Guidance - Property Law”. Andrew is a Chartered Tax Adviser and examiner with The Tax Institute and member of The Tax Institute/Office of State Revenue Liaison Committee and Dispute Resolution Technical Committee. Andrew is recognised in Doyle’s Guide as a leading Australian tax barrister. This webinar is suitable for lawyers and accountants advising on land tax in Queensland, Victoria and New South Wales. This webinar is for practitioners with some knowledge in this area and looking to improve their knowledge.